Rooter Pro Plumbing in Manteca, CA offers tips and information to customers on all types of plumbing issues and services. There are many ways to avoid costly plumbing problems if you have the information you need to prevent them. Replacing the water heater probably won't break the bank, but the problems a water heater often causes can get expensive. The last thing anyone needs is a plumbing leak that floods the home. Things like rusted out tanks, buildup within the tank, and energy wastage can be avoided with preventative plumbing services. Here's a few tips on water heaters you'll want to know. 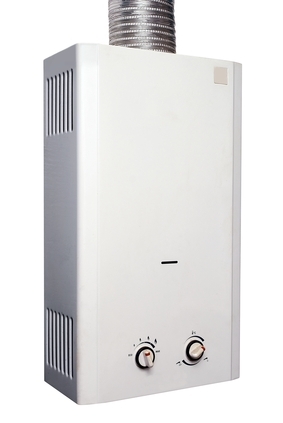 If you've added onto your home, you can install an energy efficient tankless water heater. Or, you can convert your existing water heater to a tankless model. There's no water heater tank so there's no common tank problems, and you'll save a significant amount of energy to heat water in your Manteca home. Tankless water heaters not only conserve energy, but they conserve space as well. Traditional water heaters use a tank that filled with water at all times. This type of water heater supplies hot water to your home by constantly heating the water within the tank so that it stays at a set temperature. Tankless water heaters heat water differently by activating a set of coils that heat up when the unit is turned on. As the water passes over the coils, it becomes heated. You can use the temperature control to determine how hot the water will be when it comes out of your tap and, thus, how heated the coils become and how fast the water moves over the coils. Tankless water heaters are a more energy-efficient option since they work to conserve energy by only heating the amount of water required at a given moment and by only heating the water when it is needed. Water heaters are not as low maintenance as some homeowners would like to think. Maintenance is important if you expect the unit to last as long as it's supposed to. Read the manual if you still have it and you will see that all manufacturers advise you to hire a plumber to service the equipment regularly. When you start experiencing an issue, you may need to contact our professional plumbers anyway, but it's much better to service the water heater than pay for repairs or an early replacement. Our experts can help to extend the life of your water heater as well as improve its efficiency. By effectively maintaining your water heater, you can help prevent costly repairs and aggravation. We can provide you with water heater installation and repair as well as tankless water heater service. If your Manteca water heater is leaking or running inefficiently, our plumbing experts can fix it. However, if your water heater is leaking from the actual tank due to rust, it could be time to replace your old water heater with a new efficient water heater. Our Manteca Plumbing Company offers professional residential and commercial plumbing services to Manteca and many other communities nearby. Rooter Pro Plumbing can provide you with professional water heater services in Manteca. Our services range from simple repairs, to complete water heater installation services. From the moment you call us to the time we complete your service call, you will find that we employ a team of courteous and highly trained personnel. We believe in 100% customer satisfaction which means that our clients are guaranteed the best service and value. If you are looking for drain cleaning services around Manteca California, then please call 209-834-0173 [Manteca], 209-576-1617 [Modesto], 209-835-3114 [Tracy], or 209-462-3735 [Stockton] or complete our online request form.